Mix the first 5 ingredients together in a punch bowl or a pitcher until the sugar is dissolved. Chill the mixture for 1-2 hours. 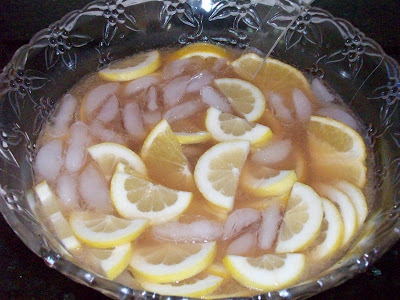 Right before serving, add the lemon-lime soda, ice, lemons, and oranges. Stir and enjoy!